On the 3rd of March 2013, it was reported in the Sunday Telegraph that Revolver, at one point the UK’s most prominent urban theatrical and home entertainment film distributor, had entered into administration. Commentators had cited that the West London outfit (established in 1997), which brought iLL Manors, Anuvahood and Exit Through the Giftshop (to name but 3) to the masses had failed to keep up with the cultural shift in how their content was being consumed and appreciated. A lot has happened since then as the wheels continue to turn and the face of distribution takes on a different look. The British film industry is currently in a very exciting place that is evolving at an incredible rate, presenting the perfect opportunity to introduce new production, distribution and audience involvement initiatives. For years, there have been many obstacles, which have kept film a virtually closed-off industry, available only for people with cash, the right connections or an indomitable obsession for success, but effectively closed to a huge number of highly talented people desperately attempting to nose their way in any which way they can. However, I believe that trend is now changing and is no longer the norm. With the increasing popularity of open castings, crowd funding and fan development websites throughout the movie world, there are more independent films in production today than ever before. And all of them want a shot at the big time. Working at Revolver Entertainment was an exciting and eye opening experience. With an abundance of arthouse and indie productions on its slate, Revolver won many awards for diverse and innovative release campaigns and strategies on films such as Mum and Dad, Iron Sky and Ill Manors. Through courage or fearlessness, some releases were highly successful, others not so. Yet my time there offered me an invaluable lesson when it comes to film distribution – timing is key, placement is important, but understanding and meeting the needs of your audience is paramount. The rise of two aspects in the independent film world are particularly fascinating at this moment in time. The first is the phenomenal success of and response to crowd funding, not only as a concept, but also in its execution. The way in which it has been accepted and embraced by film makers and, of course, the general public has been pivotal to the ongoing development of film making as we know it. Secondly, it is incredibly refreshing to witness a new era of varying and daring release strategies across the board. From multi-platform releases to self-distribution, it never ceases to amaze each and every time someone is brave and determined enough to attempt a completely unique approach. Crowd funding has come up with some unbelievable success stories in recent years. In 2012, the release of Iron Sky, which began life as a trailer in jest, raised in the region of £10million from a combination of crowd funding, contributions from private investors and the pre-sale of its distribution rights. It went on to become a global sensation, having sold in thirty three different territories to date and became the biggest straight to DVD release of the year in the UK, supported by a small multi-platform release. The resounding success of this film was predominantly thanks to the simply staggering amount of awareness and support it gathered while it was merely a concept and then throughout pre-production. This just goes to show how a great idea can pick up an absurd amount of steam. Iron Sky was merely the beginning and this method of film financing has spread rapidly – now even utilised by the already rich and famous. Less than a year ago Zach Braff successfully raised over £2.7 million from over forty one thousand contributors for his new film Wish I Was Here. This could be a sign that the public and movie lovers understand some of the plights faced by independent film makers and are keen to help. Crowd funding is possibly the first time in history that the man (or woman) in the street has been given the opportunity to get involved with productions at such an early stage in its development; an opportunity that many have shown to be willing to seize with both hands. We already know that the landscape of film is drastically changing and it doesn’t stop with production. The way in which we all view our films is constantly evolving thanks to a host of new and innovative distribution strategies. From services such as the Netflix binge viewing culture to immersive cinema experiences the public are accepting of and relating to the opportunity to view content in new and innovative ways. This is good news for the plethora of UK film makers who are desperate for their films to reach the audiences they deserve. The birth of self-distribution presents film makers with a fantastic abundance of different opportunities to get their work seen. Importantly, most of these new methods are very cheap. With the rise of digital distribution, directors and producers no longer need to secure a distribution deal to allow them to showcase their film to the public. Red State was a prime example of this. The film was touted to be auctioned off to distributors at Sundance until director Kevin Smith instead announced he would hold on to the rights for it and take it on a national tour securing cinema runs and university screenings across America. The film was later released through the Lionsgate video on demand service, proving a film doesn’t need to follow the accepted norm to achieve profit and gain international sales. Does this suggest an end to traditional cinema? No, not at all. We can all rest assured that the demand for seeing films on the big screen will not diminish – at least not for the time being. Studios will continue to produce and distribute blockbusters and independent distributors will continue to pick up and release arthouse films. Will the box office continue to bring in substantial profits? That remains to be seen. It would be fair to argue that film makers face a bigger battle with illegal downloading acting as a drain on their monetary success. And let us not forget that the cost of digital distribution is considerably less than that of traditional methods. All we can be certain of is that the times are changing, and if film makers do not keep up with and adhere to current technologies and trends then they will be sure to lose out. The undeniable potential of digital distribution does not come without its risks however. As previously mentioned the number of independent films in production is currently higher than it has ever been. If all of these seek a digital release could that spell disaster? Film fans and movie goers are anything but in short supply, but how do you find your audience in a saturated market? And as a film buff yourself, how do you find a film you will really enjoy in an endless and confusing sea of potential alternatives? These are just two of the many questions to which Ignite Film Fans hopes to provide the answer to. Ignite Film Fans’ mission is to help independent producers and film-makers across the United Kingdom to connect with their audience and build a dedicated fan base for their projects during development and production stages. In doing so, they will be able to translate this accumulated support into a tangible value and driving force to help them achieve their long term goals, be that film festival selection, obtaining further funding, or securing distribution. But there is a vital flip side to this. It is also essential that the fans get something back in return. By signing up to Ignite Film Fans free service and offering their support to individual films and concepts, members of the public will be rewarded with exclusive content, fantastic offers and exciting competitions direct from the film-makers themselves. These include signed scripts, behind the scenes footage and exclusive artwork, as well as winning set visits, the chance to appear as an extra and tickets to screenings and premieres. Through creating this mutual relationship, film fans can get involved with the UK’s very best, exciting and innovative productions in a way never before possible and enjoy the drive and enthusiasm of a new generation of talented film-makers. Ignite Film Fans are dedicated to supporting and showcasing the very best emerging talent and independent productions across the UK. By facilitating and mediating beneficial relationships between film makers, audiences, financiers and key industry figures it is possible to help them achieve their long term goals. (c) Ross Bispham/BUFF Enterprises. All Rights Reserved. Those of you who read last month’s edition of the BUFF Blog will recall that the film in question was entitled ‘Woolwich Boys’ (2012) – the closing movie of last year’s British Urban Film Festival and which recently screened as part of this year’s BUFF Spring Season. For the record, and as is custom with all films that are ever made, disclaimers can occasionally be used to make political or similar points. This is neither. And in light of recent events, BUFF feels compelled to state that although ‘Woolwich Boys’ was based on a true story, all characters that were depicted in it are fictitious and any resemblance to real persons, living or dead, is purely coincidental. The blog in question (in addition to all the BUFF Blogs which have ever been published since April 2009) is still available to read online. This month’s blog comes from another angle – dealing with the issues of perception, race and the media. The recent BAFTA Television awards (broadcast on BBC One) seemed to reaffirm long-held prejudices (in this country anyway) with no black actors or actresses up for nomination in any of the appropriate categories but yet feature in some of the UK’s most watched and critically acclaimed television programmes. There are a number of vertical glass surfaces in any home and many of these can reflect your image. Most of them are ordinary windows which, in the right light and with the right angle, can give a reasonably good reflection. Best of all are, of course, the mirrors which provide a clear (and hopefully pleasing) image. However, the glass surface that most disappoints in terms of reflection is the television screen – particularly if you are Black in Britain. This is true for the 400 or so stations on the Virgin Media cable platform and for the 650+ stations on the Sky satellite platform. But where it matters the most is on the 50+ stations currently occupying the prime Freeview digital terrestrial platform that broadcasts, for free, into the vast majority of the 25 million households in Britain. Due to its huge reach across the population and that it is home to the nation’s flagship TV channels (including the global ranging and “public funded” BBC) Freeview wields immense power in shaping the country’s values and thoughts and how communities are (or aren’t) validated. The issue of the absence of Black faces on TV in Britain has been a longstanding concern going back to the 1970s and remains an unresolved issue. The fear of victimisation and reprisal has hampered many in the industry from speaking openly about what was happening to them and it took actor Patrick Robinson a decade to reveal that he was punished and denied acting roles for ten years after voicing his concerns about the BBC. Recently David Harewood, Morgan Freeman, Lenny Henry, Reggie Yates and Paterson Joseph have all also put their heads above the parapet and talked about the systemic and institutional blockades in the film and television industry in Britain (particularly on the main Freeview channels – BBC, ITV, C4, C5 and Sky). Hopefully united voices will mean that they won’t suffer retribution through denial of work and other punishment. However, what are the roles/stories/programmes that these actors (speaking on behalf of the wider community) are seeking to see on British screens? Probably those that reflect the wide spectrum of the lives of Black people in Britain. That would be wonderful. But would that be enough? Data from the 2011 UK census indicates that there are four interconnecting and overlapping elements of the Black community in Britain – Caribbean, African, Black British and mixed-race. It is probably the Black British element that the actors above have (rightly) most strongly argued for but, despite recent and rare delights such as E4’s Youngers, BBC’s Some Girls and ITV’s Ice Cream Girls, the amount of available content is woefully and disgracefully low. But one has to look way back to the 1970s, 80s and 90s to the times of ‘Empire Road’, ‘The Fosters’, ‘No Problem’, ‘Desmond’s’ and ‘The Real McCoy’ to find any regular Black faces on what would now be Freeview in Britain. Although not on Freeview, the African community has done well to establish successful and sustained TV channels on the Sky satellite network. These channels reflect not only the lives of the British African communities but also strongly reflect the cultures that they still draw on from Africa itself. The existence of these channels also helped to support the development of the first ever British African sitcom series Meet The Adebanjos. The main element of the Black community that is therefore missing from the television screens of Britain is the Caribbean community. Despite Caribbeans living in the UK, in numbers, for over half a century there are no Caribbean channels on any of the platforms and almost no Caribbean content or programmes on any of the other 1,000 channels. There have been attempts to establish channels in the past (such as ACTV and IDTV) but these have not been successful. Others are exploring going online with channels (like BVTV) or web-series (like Brothers With No Game and All About The McKenzies). But despite that, and after 50 years, British Caribbeans still have no regular (non-music) presence on any TV platform in the UK. However, the first step in seeking to get Caribbean content regularly on British airwaves began in May 2013 with the broadcast of the first series to reach the UK from the Caribbean in many years and the first ever from Barbados. Distributed by Sankofa Televisual, “Keeping Up With The Joneses” (KUWTJ) is a mockumentary-sitcom about a fictional family in Barbados. KUWTJ features the Jones family who reluctantly become the subjects of a reality show entitled “Life & Times in the Caribbean”. It requires that a camera crew follow the family around and films their every move. Irving (the father) signs the contract to do the show against Angela’s (his wife) wishes. Now, Irving, Angela, Tracy (their 17-year-old daughter) and Nathan (their 10-year-old son) have to coexist while looking good for the cameras, resulting in embarrassing encounters and hilariously awkward TV moments! When KUWTJ was shown locally by the Caribbean Broadcasting Corporation in 2011 and 2012, it was viewed by record audiences given that it was Barbados’s first sitcom. With a new episode broadcast every weekday in the UK from 13th to 31st May on Sky 209 and Virgin 828 at 2:30pm and 11pm each day, if KUWTJ attracts enough viewers then other Caribbean content may follow in the future. The video trailer can be accessed here. The drive to get Caribbean programmes (dramas, films and other general entertainment) is supported by the results of the 2012 British Caribbean Television Survey where 98% of respondents said that they wanted to watch programmes from the Caribbean on TV in Britain. 80% of the respondents also regarded having Caribbean programmes in Britain as important for young people’s development in the British Caribbean community. This is due to concerns that the younger generations growing up in Britain seemed to know less and less about the Caribbean and about their heritage and relations “back home” and whether there is an association with the extent of serious youth violence in Britain which very significantly affects the Black community in general (especially in London) but notably those of Caribbean heritage. The ages of 11 to 15 are crucially important to young people as this is the key period when they are looking to form their own identity and when they need to be able to draw on appropriate cultural reference points. When these reference points do not exist or are not sufficiently visible or mirrored in the media around them, then there is a mismatch which can have negative consequences. In time, if there is sufficient support from viewers, the British Caribbean community may see its Caribbean heritage reflected in the mirror of British television screens (satellite/cable) more regularly but maybe not on Freeview (for the foreseeable future). © Ron Belgrave/BUFF Enterprises. All rights reserved. The much maligned profile of Black British actresses has been well documented on this blog over the past 18 months and most recently in the London Evening Standard with the forthcoming feel-good flick ‘Fast Girls’ and the supposed significance of Leonora Crichlow playing the lead role in a British film. On such matters is primarily where Twitter comes into its own as a live news editor run by the public. It doesn’t take long before feedback is immediate and corrected (many thanks to @ECForde, film critic for @colourfulradio) for his contribution in the debate at the time. Those of you who joined in via Facebook @buffenterprises thanks you also. Since then, BUFF has gotten into the Twitter spirit by launching its own hashtags – the latest one being #FFFF which stands for Fascinating Friday Film Facts. The 1st tweet in this feed related to @NoelClarke and the fact that in 2008 Adulthood was released in June as was Doghouse (in 2009) and 4321 (in 2010). In June 2012, Noel will feature in 3 films – the aforementioned Fast Girls, Storage 24 & What If. The 2ndtweet in this feed relates to this month’s BUFF blog which – for the first time in its history – is being published on a Friday c/o #FryesFridays. The woman behind FryesFridays just happens to be an actress in her own right who, like many others, are self-publishing their experiences as a blog in their chosen profession – and why not! (Apparently that wasn’t the catchphrase of that other film critic Barry Norman). Welcome to this special British Urban Film Festival (BUFF) edition of Frye’s Fridays! I am honoured to have been asked by the founder of BUFF, Emmanuel Anyiam-Osigwe, to write a blog entry for the website. Thank you, Emmanuel, for believing in me and allowing me to share my thoughts with fellow BUFF supporters. For those of you who may not have heard of me, my name is Kyla Frye, I am 24 years old and I am primarily a film actress who has also worked in TV and on stage. 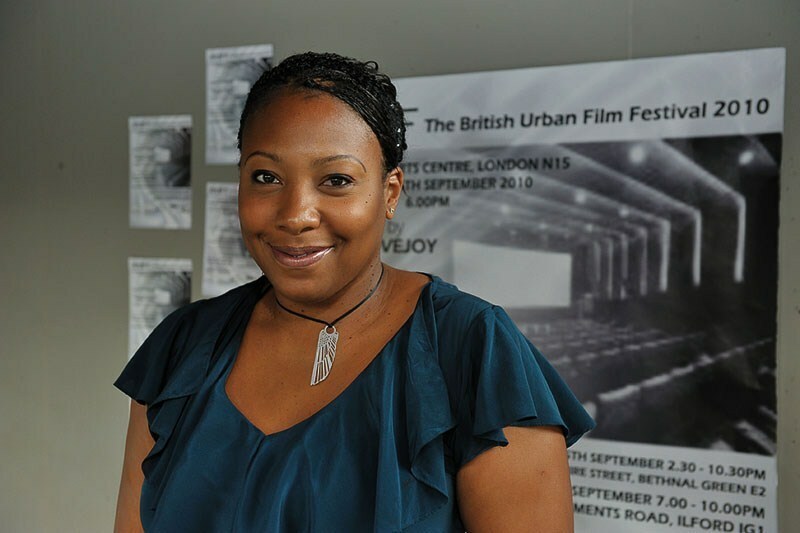 I have worked with the likes of Noel Clarke, Ashley Walters and Aml Ameen and have been fortunate enough to be nominated for Best Actress twice – Black Filmmaker Magazine (BFM) in 2008 and Black Entertainment Film Fashion TV and Arts (BEFFTA) in 2011. Last year, I also won the Black Youth Achievement (BYA) Award, for my contribution to the Arts. I would say I am a born performer as ever since I was a toddler, I would sing, dance and act out scenes from my favourite Disney movies. I studied drama throughout school, college and university whilst also attending a variety of theatre groups including, most notably, the youth theatre group at Theatre Royal Stratford East. I joined the Identity Drama School at the age of 17 and it was here where my professional acting career began and I started to audition for shows like the BBC’s Casualty and ITV’s The Bill before eventually being cast in the BBC Three drama, West 10 LDN. Since then, I have done a number of short films, including the award-winning Zion and also Black British feature, The Naked Poet. Since the launch of my website, www.kylafrye.com in April last year, I have been the author of Frye’s Fridays, where I blog about my experience of being a Black British actress and I have to admit, I have found it somewhat therapeutic. The idea of getting your innermost thoughts and feelings down on paper is not a new thing however, thanks to social networking, sharing these experiences with the world is still relatively new & rising. The most rewarding thing I have found about blogging is that it enables others who feel and think like I do to share their experiences with me… It’s comforting to know I am not alone! Francis Ford Coppola once said, ‘I don’t think there’s any artist of any value who doesn’t doubt what they’re doing’, and I haven’t found that to be any truer than where I seem to find myself at this moment in my career. I KNOW, without a shadow of a doubt, that acting is what I do best. What is more, I KNOW that my pursuit of a career and success in acting is my destiny… I KNOW that – but that doesn’t stop the “army of enemies” in my mind, trampling over that knowledge and replacing it with doubt, worry and fear. It’s natural at times to feel doubt, especially when working in this industry. You are constantly under scrutiny and being picked apart by people who believe they can sum you up in the space of three minutes in what can quite often be an awkward situation. Furthermore, the constant rejections are very difficult to continually rise from. The only thing that keeps me (and I suppose, many other artists going), is the knowledge that this is the right path laid out for us by the ‘Big Man’ upstairs and that one day, He will reward us for all our efforts. Whilst watching a recent episode of The Graham Norton Show, I witnessed an interview with the Avengers star, Mark Ruffalo (i.e. Hulk) who explained that it “took years to become an overnight sensation…” and that he had roughly 600 auditions before his big break. In that moment, I tried to calculate the amount of auditions I have had but I couldn’t. The answer was simply, “countless”. Did Mark’s story inspire me? No, because it comes with the territory but it sure did console me. I always knew (as most people do) that trying to become a global star is one of the hardest things you could ever embark upon. Never one to shy away from a challenge, I have to remind myself that patience is key! Being in this acting game is like being in a marathon… you just keep chugging away until you get to the end. Through all the stitches, breathlessness, cramps and blistered feet, you WILL get to the finish line & bask in the glory of your achievements. However, I wasn’t much of a long distance runner – I am a sprinter and like a kid at Christmas – I literally just can’t wait! How do you tell your heart to settle down and chill out when all it wants to do is jump out of your chest and onto a film set or onto the stage? I have NO idea and that, I have to say, is my biggest problem. I love acting… I love becoming someone completely different to myself and telling their story in a way they couldn’t do themselves. Acting is my air and all I want to do is breathe! So what do I do whilst waiting and working towards my “lucky break”? They say that luck is opportunity meeting preparation so I choose to focus on being in a constant state of readiness and I do my best to wear my skin basked in resilience. Not only that, but I feel that I’m in a position now where I can finally take ownership of my craft. From my years of experience and also, the inspiration I receive from my peers, I have been encouraged to write and direct my own work. The whole idea of hanging around, waiting and hoping that someone will cast you in a project is something that I can no longer stomach, so I’ve decided to be the change that I want to see. I’m tired of the same old, stereotypical, negative and destructive stories depicting an unrealistic and unrepresented look at the Black British experience. It is time for those in charge of new writing and production at the big movie companies and television networks to wake up and the only way this can happen is if the work that I and my peers create, ring a very loud alarm in their heads! Don’t get me wrong, I’m not trying to go out of my way to be famous for famous sake. Fame doesn’t appeal to me, however I do want to reach out to millions and be successful. Success is what drives me and through my own success, I want to encourage others to live out their own success stories. I’ve always said that my motivation is to inspire a generation and earlier this month, I became a BYA (Black Youth Achievement) ambassador which enables me to speak to young people up and down the country, share my story and hopefully, inspire them to turn their dreams into a reality. I believe there is a star in each and every one of us and it is our duty to let our own light shine bright! So what is next in store for me? Well, the great thing about being an actor is that you never know what’s next. You trust and hope that your agent is working as hard as they can to get you seen by the right people. You also trust and hope that when you do get an audition, the casting directors et al. see and hear exactly what you do when you go through the scene and that is greatness! At the moment, I’m in rehearsals for two Writer’s Avenue events; the first being the Writer’s Avenue Films Launch on Tuesday the 29th of May and following that, in “6 Degrees” on Saturday the 23rd of June, both at Soho Theatre. Other than that, who knows what the good Lord has in store for me? He knows my heart and I trust in Him to fulfil my heart’s desires. In the meantime, I will continue to work hard on my craft, give the best of me in every situation handed to me and leave the rest up to Him. Thank you all for taking the time out to read this and to everyone who has continually shown me their love and support- It has not gone unnoticed and I appreciate it more than you’ll ever know! (C) Kyla Frye/BUFF Enterprises. All Rights Reserved. Pictures courtesy of Alex Winn. HOW DID IT ALL START OFF? My journey began at a very young age… I always had a hidden desire to perform when I was a child. There weren’t many of the drama workshops and classes that are so easily accessible to children now. My performing was limited to dance and singing shows at school. My love of film stems from the many VHS’s (that’s what we had back in the day) that my dad owned of classic films and musicals; I would spend school holidays watching films over and over again. In my teenage years, I fell by chance into being a fashion model – it was either that or go to university at the time. I chose to give modelling a try as I thought it would be a good experience, it’s as simple as that! Through modelling I then got to utilise my dance skills working on music videos, touring and travelling frequently – all the stuff my dreams were made of. Music videos were different back then; it was all about a performance, usually some narrative and not just shake your booty. I am very proud of those days – I met a lot of interesting, talented, creative people and for me it wasn’t about being famed for my looks or being the best dancer, it was a time in the 90’s that people were expressing themselves as they saw creatively fit and continue to do so. Many of the people that I worked with, partied with etc. are now my peers in the industry and I’m very proud of them… it was all about life experience – then and now. Experience in front of a camera helped me to learn about how any production works. I also worked in events management during that time… I will always give something a try, or challenge myself. My first film was very low budget and shot in and around Notting Hill – In ‘Respect’, I played a community activist called ‘Angela’, it was through a friend that I found out about the audition and pushed myself forward to get seen, as I didn’t have an agent at the time. I managed to get my Equity card and a showreel together, which led me to meet my lovely agent Elaine Murphy. Within 3 months I was auditioning for the lead in a feature film, ‘Babymother’… 10 weeks and 9 screen tests later, I was cast in the role of ‘Anita’. Playing Anita was a role that I had to fight for; at least 500 actresses, singers and dancers had auditioned. It was a year of beginnings and endings, as I gave birth to my son 7 months before being offered the role and my dad passed away – so spiritually I felt connected to the role in terms of being a young mother and also the loss of a parent. Both my agent Elaine Murphy and Michael Keane have always had belief in me which really helped me as a young actress, who had a lot to learn! I’ve just been asked to be on the BUFF board of members which is cool! Thanks BUFF! I attended BUFF for the first time last year, as ‘SUS’ was launching the festival; SUS is a feature film starring Clint Dyer, Rafe Spall and Ralph Brown. It is a very powerful independent film that was shot over 2 weeks and has had a really amazing response. SUS has screened at many festivals worldwide, Clint has won many awards and it secured a cinematic release in the UK last year – all very positive and BUFF have been supporters of the film also. I am also working with a youth education company who do motivational work with young people – I’ve just started facilitating with them. Whatever help I can give to inspire young people on their paths, I will always do when I have the time. Acting wise – at the end of last year, I filmed a few episodes of a BBC teen drama – ‘The Cut’ – which was a lot of fun, albeit my character was part of a very sad storyline. THE CUT gave me the chance to play a character who was very vulnerable as ‘Carly’ is an agoraphobic. I’m also amongst the cast in ‘The Shadow Line’, a noir conspiracy thriller starring Chiwetel Ejiofor, Christopher Eccleston, Rafe Spall, Lesley Sharp and many others. The first episode aired on BBC 2 on Thursday 5th May @ 9pm… It’s very stylish, with complex characters. I had a very enjoyable time filming and Hugo Blick (writer & director) is sheer brilliance. Even if I didn’t have a moment in the series, it would be top of my list to watch as some of my favourite actors/actresses, whose work I’ve seen and have been inspired by, are in the episodes. It is also a genre that I love, so I’ll be watching the whole series (7 episodes). WHAT IS YOUR INVOLVEMENT WITH THE FILM ‘SUS’? I am ‘the’ flashback! (laughs) Without spoiling the film for those who haven’t seen it yet, I play the allegedly murdered wife of Clint’s character, Leon Delroy. I have been talking people’s’ ears off about this film since last year – please note it isn’t self promo. I am always grateful for every role that I am offered regardless of whether it is a lead or a supporting role, because I always feel very lucky to be able to do what I love – which is to play as many interesting characters as I can. SUS has historical relevance, it is a period piece. It’s a film that is shocking, moving and educational – a portrayal of one man’s torment during a police interrogation, a victim of SUS. It is based on a true story, written by Barrie Keefe. Playing ‘Georgie’ was purely a visual performance – but for me, that Clint and Robert Heath (Director) would want to include me in such an inspirational and important piece, I am eternally grateful! I know it sounds gushy, but truly I am happy that I still have interesting work after 21 years of being in entertainment in some shape or form. I have worked with Clint on a few occasions, he is a very special human being and multi-talented – there, gush again! Clint has been a huge support to me and many others in the industry, which I value. SUS will be screened on British television some time soon; it is also out on DVD so its’ journey continues. WHAT DOES BUFF MEAN TO YOU? BUFF represents a refreshing forum for the seen and unseen film makers in the UK & worldwide. It is a celebration of the passion, diversity and forward thinking in film. As a free to attend festival, it is inclusive and gives the audience a chance to see some unique styles. Many of the films are made on low budgets and most films make their premieres at the festival. BUFF has energy to it and it isn’t ego driven. 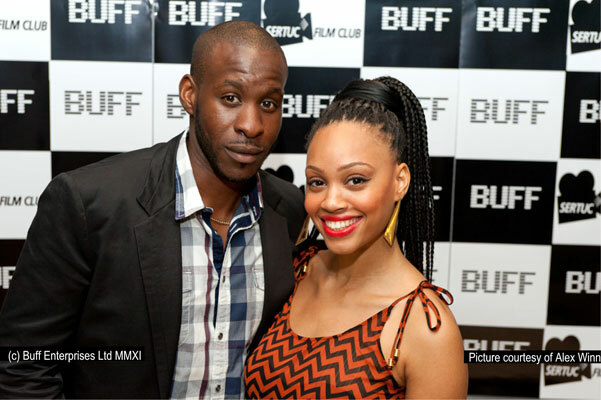 BUFF is provocative, outspoken and supportive – hold on am I talking about BUFF, or the director of BUFF?! Joke aside, the festival is growing and is definitely one to put in your diary. At a time when budgets are being slashed and arts funding is very selective, festivals like BUFF keep the line of hope there for all of us. There are a few surprises in store for this year’s festival, so keep an eye out on the BUFF website. WHAT ADVICE WOULD YOU GIVE TO BUDDING FILM MAKERS AND ACTORS? Several come to mind, hard work and belief. Film making is a long process, a united effort and some may say a healthy risk as you don’t know what the audience’s’ perception will be when you are creating… that is why belief in your talent, yourself and others – plus a thick skin – are needed. Hard work is never a negative thing – but for actors and film makers, they make something look effortless and natural which requires energy. Most of all enjoy, enjoy, and enjoy it! The social networks have definitely had an impact on the way some films are marketed now in addition to the profiling of actors; some prefer a more subversive approach but I feel it’s whatever works for you. Find like-minded people (I don’t like the word ‘network’). Triforce Events (i.e. actors Fraser Ayres, Jimmy Akingbola et al.) are a good example of this – I have been to some great screenings, readings and nights out that they have put on – everyone is friendly, supportive, productive – and that organically produces results. I also attended the Ameen Dream Entertainment launch at BAFTA recently, which was both very uplifting and progressive. Every opportunity is an opportunity – gain whatever positivity you can from it. WHICH ARE YOUR FAVOURITE FILMS? Quite a few and of those I include the following: ‘The Imitation Of Life’, ‘The Godfather’, ‘Leon’, ‘Malcolm X’, ‘La Vita E Bella’ (Life is Beautiful), ‘The Knickerman’ (A short by Sonja Phillips), ‘Dirty Pretty Things’, ‘City Of God’, ‘American Gangster’ and ‘Dodgeball’ – I love comedy ???? I still have a bunch of DVDs that need to be watched! (in no particular order): Samuel L Jackson, Jodie Foster, Angela Bassett, Gary Oldman, Robert De Niro, Helen Mirren, Ray Winstone, Don Cheadle, Kerry Washington, Tom Hardy, Denzel Washington, Samantha Morton… This list could be very long so I’ll stop. Acting requires guts, so I respect all actors! ‘If life gives you lemons… Make lemonade’ (Norman Vincent Peale). (c) Anjela Lauren Smith/BUFF Enterprises. All Rights Reserved. With the election imminent, it is widely assumed that out of the 650 odd MP’s who represent their various constituencies up and down the UK, half of them will have to find new employment after the electorate have had their say. There will be a fair few MP’s doing their utmost to hold on to their jobs, those who are not tainted by the expenses affair to name but 1 plague on all the MP’s houses (in some cases, literally). And whilst issues such as housing, immigration, jobs and the economy will be key to the winning of votes, it is unlikely, though not rare for new MP’s to be elected on local issues. The east London borough and Olympic borough of Waltham Forest is the birthplace of Alfred Hitchcock, David Beckham and Black Filmmaker Magazine no less. It also holds the unenviable mantle of being the only London borough without a cinema. Cinemas are seen as the primary cultural lifeblood of a community, an outpost for individuals and families to indulge in ‘escapism’ from the trials and tribulations of everyday life. The recession has put pay to a lot of things (including a certain magazine if rumours are to be believed) but for the local MP to oversee the only London borough being without a cinema should generate far more commotion, both within the film community and beyond. Former conservative leader and MP for Chingford & Woodford Green, Iain Duncan Smith has recently lent his support to the campaign to save Waltham Forest’s only cinema. The Mcguffen society (who include Alan Davies among their patrons) are also spearheading the campaign to re-establish the EMD as a pre-eminent cinema venue in London. The Grade 2 listed building in Hoe Street, Walthamstow, was designed by Russian theatre director Theodore Komisarjevsky, who was married to actress Dame Peggy Ashcroft. The cinema was sold in 2003 to the UCKG church who plan to turn it into a place of worship. Earlier proposals were rejected by Waltham Forest council. How the campaign could do with Alfred Hitchcock chipping in or more realistically (though not improbably) David Beckham – we’ve seen what the power of 1 scarf can do. The month of March also saw the power of protest in all its’ glory as the BBC announced plans to streamline its’ output including the closure of the Asian Network and 6music radio stations in its’ current form. Whilst over 100 people including Shilpa Shetty added their name to a petition to save Asian network, at least 10,000 people have added their name to a petition to save 6music, not forgetting the various campaigns running on Twitter and Facebook. It remains to be seen whether the die is cast on the various closures that have been mentioned in this blog. The 1st time this blog became aware of the Peckham rapper Giggs was when award-winning filmmaker Teddy Nygh previewed his documentary Clashadatight1’s a year ago (a film which later went onto be screened by BUFF). The same can be said for many films and TV programmes over the years which have been shown or otherwise for various reasons. Films about police deaths in custody (‘Injustice’ by Ken Fero) and the 7/7 London bombings (‘The Homefront’ by Thomas Ikimi) have never seen the light of the day in a UK cinema nor on TV. The gangster movie ‘Triads, Yardies and Onion Bhajees’, based on the former Southall gang The Holy Smokes was banned in cinemas in 2004 and is about to be released on DVD. A film based on events which led to the death of Jean Charles De Menezes is about to hit UK cinemas later this year. Its’ been said that Thames Television (remember them?) lost its’ ITV license to Carlton (who once employed David Cameron) over the broadcast of a documentary which smeared Margaret Thatcher’s then conservative government. What price free speech in today’s day and age? (c) BUFF Enterprises. All Rights Reserved. Official. This is the 2nd edition of the gospel truth, taking a look at the most powerful institution ever created – the media – and putting its’ own spin on things. Previously on this blog, the discussion focused on Britain’s Got Talent and the issue about Susan Boyle’s buffness. Needless to say, it did become a factor, ultimately as although she overcame adversity to reach the final, Diversity triumphed. Never has a truer phrase been spoken of late. Everything about Diversity spoke a lot for the UK and although I confess to not having watched a single episode of the UK’s most watched television programme in 5 years, my confidence in the british people has been partially restored. Talent prevailed in the end, and the majority of the 10 million votes, cast from the 19 million people who watched seemed to agree. Whilst we’re on this talent theme, the British Urban Film Festival – one of the newest additions to London’s social calendar – has just launched its’ campaign to find ‘the next adulthood’. Why Adulthood? Well it says so on its’ website. That aside, if you were asked to explain to the man in the street one film that sums up the British Urban Film Festival, it would be Adulthood. Released last summer, Adulthood was one of those rare things in cinema, a successful british sequel, core to its’ roots. Even more rare was the record 4.2 billion dollars British films took at the world box office last year. Quantum of Solace, Mamma Mia and The Dark Knight – the three biggest successes – alone contributed £100 million to the UK economy just by filming in the UK. According to figures released by the UK Film Council, a third of cinema admissions last year were for UK films. Speaking to those who work on the British Urban Film Festival, I know that there’s an emphasis to champion UK talent and British directors. You’ll be surprised to hear that interest for this year’s festival has come from far and wide: America, Canada, Holland, Poland, Cuba, Greece, Italy, Spain, Norway and Russia. One hopes that this balance can be re-dressed and judging from some of the UK films currently in production, it looks like the festival will be spoilt for choice this year. One of the hits from last year’s festival was Billy Blaze, a mockumentary which centered around a fictitious rapper from Newcastle and his plans to make it big (Think Alan Partridge and Vanilla Ice rolled into one). The film was well received by press and audiences alike and is the brainchild of Daily Mirror journalist Jessica Grace Mellor. Who needs the South Bank Show when you’ve got the British Urban Film Festival championing the best that the UK has to offer?